The need for trust litigation is a growing problem here in the Jacksonville and Ponte Vedra, Florida areas. One of the most important jobs for a trustee is his or her duty to keep the trust’s beneficiaries informed. This responsibility is imperative in Florida and is so important that the failure to keep a beneficiary informed can have enormous financial consequences for the trustee. Your Jacksonville trust attorney can help you determine when a trustee must comply with the following duties of a trustee of a Florida Trust. The trustee’s duty to keep the beneficiary informed goes beyond providing adequate information. A Florida trustee must provide the beneficiaries with a report of the accounting, and must provide a copy of the actual trust upon a reasonable request. The Florida statutes make a distinction between beneficiaries and “Qualified Beneficiaries.” This distinction is important and often used throughout the Florida Trust Code. A Qualified Beneficiary encompasses a subset of people that may not normally be considered beneficiaries. This class of beneficiary is limited to current beneficiaries, as well as beneficiaries that are intermediate beneficiaries and first-line remainder beneficiaries, whether vested or contingent. 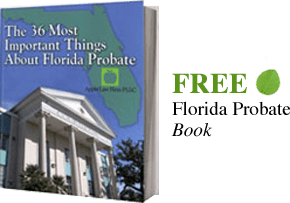 You should consult with your trust attorney in Jacksonville to help determine who is a Qualified Beneficiary and when the trustee of a Florida Trust must comply. The term beneficiary refers to the entire universe of persons who have a beneficial interest in a trust. This broad definition includes any person with a power of appointment over trust property in any capacity other than the trustee. It does not matter whether the beneficial interest is a present, future, vested, or contingent interest. Further, the person with the interest does not have to be living or even ascertainable for the government to count this person as a beneficiary. The trustee must keep the qualified beneficiaries of the trust reasonably informed of the status of the trust and the trust administration. The first rule the statutes state is that within 60 days after acceptance of the trust, the trustee shall give notice to the qualified beneficiaries of the acceptance of the trust. This same rule applies to revocable trusts that become irrevocable trusts. The trustee must inform the qualified beneficiaries. Once the qualified beneficiary gives notice he or she has a right to request a copy of the actual trust instrument. In general, a trustee is required to provide a qualified beneficiary with a complete copy of the trust instrument. A trustee must also provide a trust accounting upon reasonable request. An accounting summary must begin from the date of the last accounting. If this is the first accounting, then the review must start on the date on which the trustee became accountable for the trust. A trustee should give a trust accounting annually, and he or she must provide a final accounting upon the termination of the trust. A trust accounting must be a report that is reasonably easy to understand. While the term “reasonably” isn’t defined, this is likely to be a report that someone of average intelligence and understanding would be able to comprehend. The trustee should make the report easy to read, but the report also must adequately disclose the information required by Florida law. A Florida trustee must show all cash and property transactions that affect administration during the accounting period. This rule means the trustee must demonstrate all trust income and principal within the reporting period. Florida trust accounting requires the trustee to issue a statement with the report that provides essential information. This information includes the trust’s name, the name of the trustee issuing the report, and what period is covered by the accounting report. The trustee must include the compensation paid to the trustee and the trustee’s agents in the report. Florida trustees have a duty to show any gain or loss during the accounting period. The trustee must illustrate financial gain or loss in an easy to read fashion. The trustee should provide receipts for any trust distributions. This accounting report must to the extent feasible, identify and value trust assets at their acquisition value and the estimated current value. The same rule holds true for trust liabilities as well. The accounting must identify each non-contingent liability with a current estimated amount of the liability. The accounting report must also show any other significant transactions even if these events do not affect the value of the trust’s assets. A good example of this type of transaction might be a name change in an investment holding, stock splits, or a change in a custodial institution.